Locksmith needed or change of locks? Security is so important these days and at Robust we take it very seriously. We know how important it is to protect your property and we have excellent contractors on call and provide top quality products, professional installation and excellent customer service. Our Locksmiths offer cost effective solutions that are genuine and completely guaranteed. We offer lock opening, lock changing and burglary prevention services throughout Co. Dublin. Our Alarm installers offer both wired and wireless alarm systems for any property which can also be monitored. Our technicians have the experience needed to provide a fast, professional and dependable service. Our CCTV installers offer security systems that can be monitored 24/7/365 on all smart phones and tablets allowing you to check your property at any time and from any location. 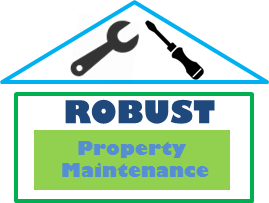 As always, at Robust we offer expert tradesmen and first class customer service at a fair price. We will agree our fee with you in advance so there will be no surprises and we will communicate with you at every step while being as efficient as possible. Get your property secure, contact us now.